The National Geographic All Roads Film Project presents the 8th annual All Roads Film Festival, featuring stories and talent from vibrant and diverse cultures. Meet the filmmakers at panel discussions, dance to live music Friday night, and enjoy a free photography exhibition in the National Geographic courtyard. The festival runs Thursday, September 27 through Sunday, September 30. All screenings will take place in Grosvenor Auditorium at National Geographic Society headquarters, 1600 M Street NW, unless otherwise noted. Tickets are $10 per film or you can purchase a festival pass for $100. National Geographic is graciously offering our readers a chance to attend a screening of their choice. Simply put in the comments what two films interest you and we’ll draw a few winners (a pair of tickets for each winner) on Tuesday morning. The schedule after the jump. Award-Winning Directors Auraeus Solito (Busong), Aleskei Vahrukshev (The Tundra Book) and Musa Syeed (Valley of the Saints) discuss what opportunities and demands arise when a director channels a deep familiarity with a place and its culture. Preparing for high-stakes mariachi competitions tests the mettle of a group of teenagers for whom music is more than an extracurricular activity. Becoming a top-notch performer takes talent and discipline, along with a heartfelt understanding of their culture. As the opening film of this year’s PBS Arts Summer Festival and an All Roads Seed Grant Recipient, Mariachi High livened up television screens and astonished viewers across America. In this mystical drama, the first feature film from the Palawan community of the Philippines, a determined young man carries his disabled sister on a fateful journey to see a healer. Busong screened at the 2011 Cannes Film Festival Directors’ Fortnight, and won awards for Best Director, Best Sound Design, and Best Original Music Score at Cinemalaya 2011. Co-hosted with Embassy of Philippines. A rare and stunning documentary about the lives of the Chukchi people whom few outsiders have encountered. The Chukchi inhabit a remote Russian peninsula in the Arctic Circle, which has isolated the culture and allowed it to keep its traditions fairly intact. Many directors these days stress that they wish to make “hopeful” films, ones that focus on everyday triumphs, point to solutions, and counteract negative stereotypes. Other directors go dark, looking hard at tragedies and dismal social conditions to awaken consciences. How does a director decide on the emotional temperature of a project? How do directors portray realistic situations while avoiding the pitfalls of sensationalism or easy sentiment? A panel discussion with Chris Bashinelli, Bridge the Gap to Pine Ridge, Pema Tseden, Old Dog, and Soraya Umewaka, Tomorrow We Will See. A ten year old boy, Lautaro, after the death of his parents, has to leave his hometown and go to his Aunt Emma’s house. However, several events motivate him to go home. The road is long, but during his journey, he meets several characters, dead and alive, who help him get home. Discussion with the director and wine reception follow the screening. 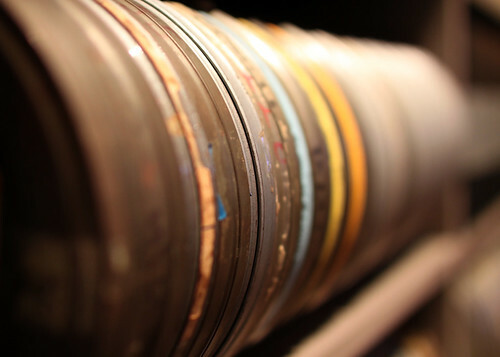 *This screening will take place at The Mexican Cultural Institute, 2829 16th Street NW, Washington, D.C. In this upbeat film about Lebanon’s flourishing, creative new arts culture, ten artists give insight about their work which fuses new innovative ideas into traditional Lebanese dance, architecture, music, and other art forms as the country rebuilds its fractured society after years of war. Discussion with the director follows the screening. 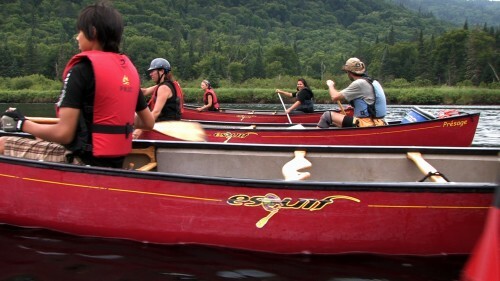 Teenagers of First Nations tribes the Innu and the Huron-Wendat take an arduous journey along a 4,000 year-old trading route walked and paddled by their ancestors, and deepen their relationships with nature, their heritage, and one another. Rencontre received the Golden Palm Award at the Mexico International Film Festival. Co-hosted with Embassy of Canada. Discussion with the director follows the screening. “This is My Time (Everyday)” (Canada) – A dedicated clockmaker is livened up when a spirit entices him to take a flying journey in this lyrically driven music video that blends animation with live action. Brash young filmmaker Chris Bashinelli arrived at the Pine Ridge Reservation South Dakota with a preconceived notion of a community filled with poverty and alienation. Instead, he found amazing stories of hope and inspiration. Discussion with the director follows the screening. This compelling, timely story of intergenerational conflict in Tibet—where sheep-herding mastiffs have become objects of desire among the Chinese nouveau riche—tells of a son who sells the family’s mastiff against his father’s will, bringing their quiet conflicts to a head in this contemporary drama that has received top awards at film festivals in Tokyo, Hong Kong, and Seoul. Co-hosted with Machik. Discussion with the director follows screening. A stubborn father is forced into the modern world when his celebrity daughter abandons their reclusive Samaritan sect. This emotional family story won Best Documentary awards at festivals in Canada, Israel, France, and the U.S. Co-hosted with Washington Jewish Film Festival. Discussion with the director follows the screening. “Reviens-Moi” (Canada) – A man remembers his childhood love and what he was asked to do for nostalgia’s sake years later in this captivating short. This compelling film provides an intimate portrayal of the Borana tribe as they explain their ancient ritual of sharing water from community wells, many of which have been capped due to encroaching urbanization. Singing together and forming human chains to reach the life-giving water found deep below the ground, the Borana reinforce their social bonds. Co-hosted with The Documentary Center at the George Washington University. Discussion with the director follows the screening. “Pow.wow.wow” (Canada) – A contemporary cello composition by award-winning Canadian cellist Cris Derksen converges with a swirling traditional Native women’s shawl dance to captivating visual effect. The contrast between a military crackdown in Kashmir and the intimate beauty of the disputed area’s endangered Dal Lake serves as the backdrop to this story of a young boatman’s unrequited love for a pretty, young student from a different caste. Valley of Saints is the recipient of an All Roads Seed Grant, and received the Alfred P. Sloan Feature Film Prize at the 2012 Sundance Film Festival. Co-hosted with Environmental Film Festival in the Nation’s Capital. Discussion with the director follows the screening. National Geographic Photo Camp gives National Geographic’s network of professional photographers the chance to pass on their skills, knowledge, and passion to the next generation of aspiring photojournalists around the world. This photo exhibit features images by youth in Haiti and Chad as well as Burmese refugees living in Baltimore. Colombian-born, L.A.-based Palenke SoulTribe rides the wave of New Colombian Cool—a cadre of young artists rediscovering the roots of their country’s diverse music—and refashioning it for dance floors worldwide. Led by producer Juan Diego Borda and keyboardist Andres “Popa” Erazo, these electro cumbia soul rebels reboot their electronic sound with the funky Afro-Colombian beats of Colombia’s Pacific coast. Presented in collaboration with Nat Geo Music. Awesome opportunity! I’d like to see “Old Dog” and “The Well: Water Voices from Ethiopia”. I would like to see “Bridge the Gap to Pine Ridge” and “Valley of Saints” They both sound very good. We’d love to see Valley of Saints. Thanks! I’d like to see “Valley of Saints”. Thank you! Busong and Recontre. Thank you!